One of the first things that comes to everyone’s mind while choosing U.S. universities is “Ranking.” Rankings can give you a basic idea about universities, but are these rankings really the main thing to keep in mind while choosing universities? The answer is no. The ranking of a school is not the only thing that describes the value of a university. There are a lot of different factors to consider while choosing a university. Some of these are facts like the size of the university, the average size of classes, the ratings of the professors. Other important factors include the experience you will have as a student, such as the sense of community on campus, ways to get involved, and the locality of the campus. I am currently studying at SUNY Plattsburgh. I first learned about this university from the Internet. At first, I looked at the ranking of the university, as I used to think that ranking really matters. After doing more research and comparing some highly ranked universities with some with lower rankings, I found that the biggest difference between the highly ranked universities and the others is that they just charge higher fees. Most of them offer a normal, quality education, which you can easily get at a lower price in other colleges. In SUNY Plattsburgh, I found out that the professors are really helpful to all of our international students. A lot of my professors have an international background, so they can understand international students better. Another thing to keep in mind while looking for universities is the community and the locality. Community really matters a lot. As an international student abroad, you need to have a good network of friends around you since you will be living very far away from family. However, if you find a good community on a U.S. campus, they ultimately become your family in the U.S. One more important consideration is the size of your classes. It is really more comfortable and effective to study in a medium sized class rather than a big class. It is easier to raise your voice and ask questions when there are fewer students in each class. This way you learn communication skills more easily, as you will actually be speaking in the class as you learn. In a bigger class, you lack that sense of comfort. Getting leadership experiences outside of class on a U.S. campus is very important. Try to see what kind of leadership opportunities are available on the campus. A U.S. education really focuses on practical knowledge. Many U.S. campuses are designed in a way that students can learn, explore their knowledge and they can get a lot of diverse opinions both inside and outside of the classroom. Leadership opportunities include some cultural clubs, educational clubs, resident assistant positions, and several other positions. These activities and jobs can help you develop your personality and even your resume. Finally, I want to stress that rankings do play a role in selecting universities, but blindly relying on those rankings will stop you from considering some excellent schools available for you. You may start your research with rankings, but you should also look for the above mentioned factors while selecting universities. 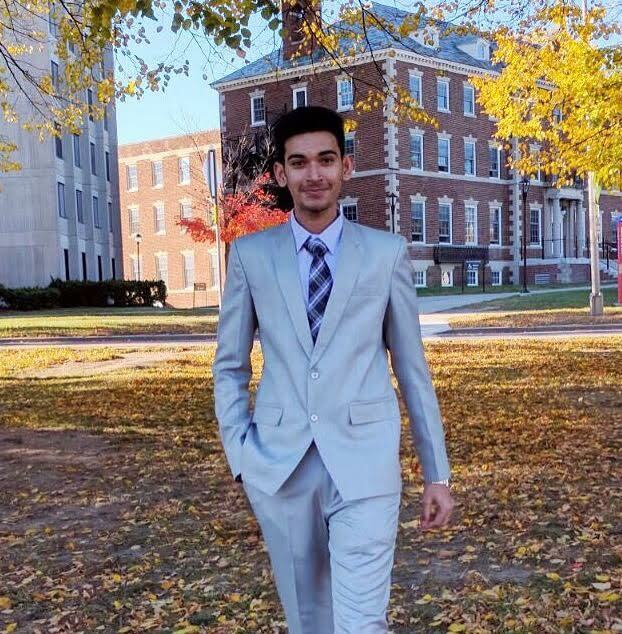 Smit Pujara is majoring in International Business and Marketing at State University of New York (SUNY) at Plattsburgh in Plattsburgh, New York.